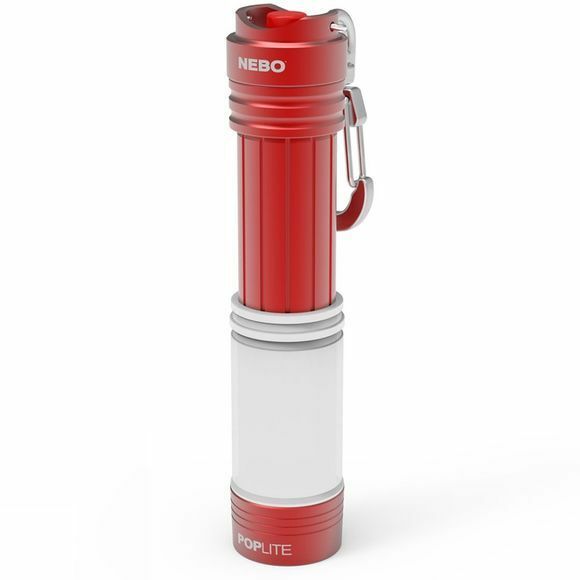 The Poplite from Nebo is a versatile, compact light and lantern. Its expandable design allows it to easily change from flood light, to spot light, to lantern, by sliding the body of the light. Small enough to fit on a key ring, the Poplite also features a magnetic base and a detachable carabiner clip. To activate the light, just pop the carabiner clip from the light body and it is ready to light the way!